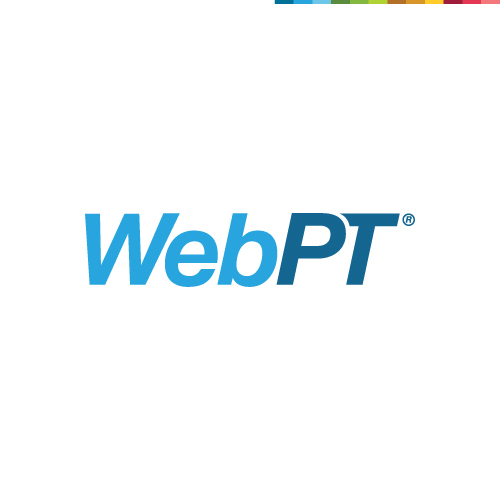 With more than 62,600 members and 8,700 clinics, WebPT is the leading EMR for physical therapists (PTs), occupational therapists (OTs), and speech-language pathologists (SLPs) on the market. Offering a simple, affordable solution, WebPT makes it easy for therapists to transition from paper and outdated software to a user-friendly, cloud-based system. With WebPT, therapists, directors, and front office staff all have access to their patients’ medical records anywhere, anytime, from any web-enabled device. Based in downtown Phoenix, WebPT has a 99.9 percent uptime rate as well as a 99.5 percent customer retention rate. Learn more at WebPT.com. Will 2018 be the Year We Kill the Therapy Cap for Good in the US? In 1997—the same year Titanic took over the box office and the Spice Girls were topping the music charts—the Clinton administration signed into law the Balanced Budget Act, which included a pesky provision placing an arbitrary annual limit on the dollar amount Medicare will reimburse for each beneficiary’s physical therapy, occupational therapy, and speech-language pathology services. And it’s been a thorn in our collective side ever since. Frequently exceeding the cap could throw up a red flag to Medicare and lead to an audit. While having to pause services until the cap resets can be frustrating and revenue-draining for providers, the real problem is how detrimental it can be to a patient’s functional progress and recovery. In fact, it could actually lead some patients to turn to more invasive, not to mention expensive, treatment options (cough—opioids and surgery—cough). And that could seriously jack up spending in the long run, all but defeating the purpose of the cap in the first place. The cap also makes it very difficult for patients who could benefit from both speech-language pathology and physical therapy, because both services are covered under one cap. Thus, if a patient experiences a major cardiac or neural condition (a stroke, for example), then he or she may feel pressured to choose between therapy to help regain communication skills or therapy to improve mobility. And that’s a choice no one should ever have to make. The first would essentially create a permanent exceptions process requiring all claims exceeding a primary threshold (which, in 2018, is $2,010) to include a modifier denoting medical necessity (as long as the billed services are medically necessary). Furthermore, any claims exceeding a secondary threshold of $3,000 would be eligible for targeted medical review. From what we’ve heard from our sources at the APTA, this proposal will be included in an omnibus Medicare bill that Congress will vote on in December. The second proposal is for a bill that would repeal the cap entirely. This bill—known as the Medicare Access to Rehabilitation Services Act—would replace the cap and cap exceptions process with an all-encompassing targeted review process (similar to the one currently applied to claims exceeding $3,700). This bill—which has strong bipartisan support and backing by the APTA, ASHA, and AOTA—has been sitting before Congress since February. Only time will tell if it gets voted into law, but many rehab therapy advocates are optimistic about its passage. Join the APTA and stay up to date on advocacy efforts. Be an active member of PTeam, APTA’s advocacy team. Contact your representatives about repealing the Medicare therapy cap. Visit this APTA action page to stay current on the advocacy efforts impacting our industry. Speaking of staying current, be sure to join me on December 13 for a free webinar detailing the regulatory changes—including those that are part of this year’s Final Rule—that will impact rehab therapists most in 2018. (Even if you aren’t available that day, be sure to register anyway so you receive the recording and handouts). After all, you can’t possibly prepare for the changes on the horizon until you know what those changes are. I hope to see you online! About the AuthorHeidi Jannenga is co-founder and president of WebPT, the leading physical therapy software platform for enhancing patient care and fueling business growth. She has more than 15 years of experience as a physical therapist and clinic director, and she’s an active member of the sports and private practice sections of the APTA as well as the PT-PAC Board of Trustees. Join Ari Kaplan and Doug Adams in this second short online course to explore how to develop a comprehensive rehabilitation programme to tackle common biomechanical issues seen in runners.